As the world we live in becomes more dependent on technology, writing snail mail letters to correspond is becoming a forgotten art form. In fact, the U.S. Postal Service's annual survey shows that the average home only received a personal letter once every seven weeks or so in 2010, a dramatic decrease from once every two weeks back in 1987. So to bring back the beautiful art of letter writing, here are some quick and simple tips on how to write the perfect letter. Whether you're writing to say thank you, happy birthday, or just because, here's how to write a meaningful personal letter the recipient will truly cherish. Why is it so important to write THIS letter? Instead of sending a quick text message or voice mail, a handwritten letter shows that you took the time and effort to reach out. So, ask yourself, why is it so important to send this message on stationary? The medium matters as much as the message, and getting a handwritten letter is a great way to make someone feel recognized and loved. Before you start writing, take a moment to reflect on exactly what you want the other person to feel when they read your message. It is always appropriate to write a handwritten letter, whether it is for an invitation, a congratulations, or a thank you card. However, timing matters when it comes to correspondence. Factor in at least five days for delivery, otherwise your message might come too late. Just because you have a laptop and keyboard at hand doesn't mean you should sit down on your computer to write! Instead, go the old fashioned route and invest in book embossers, feather quill pens, scroll paper, and sealing wax sticks. Having all these accessories will make letter writing that much more enjoyable, while giving an authentic look to your letters. Remember, it is not what you say but how you say it. The best writers understand that great writing is all about concision. Your message doesn't have to be long and fill up the page, it simply has to be meaningful and come from the heart. There should not be any flowery phrases or flourishes to take up space; keeping it short and sweet will have much more of an impact. We all have messages and letters we've been meaning to write for ages, yet never seem to actually finish. Simply put it on your calendar or make a special note and reminder to set aside a time to do it. All you'll need is your feather quill pen, a half an hour, and you will be set for success. 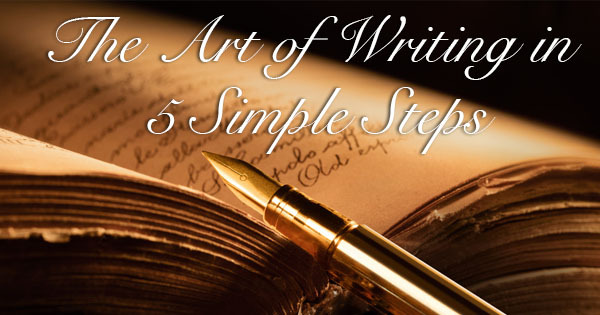 With these tips in mind, you have all you need to master the lost art of letter writing.